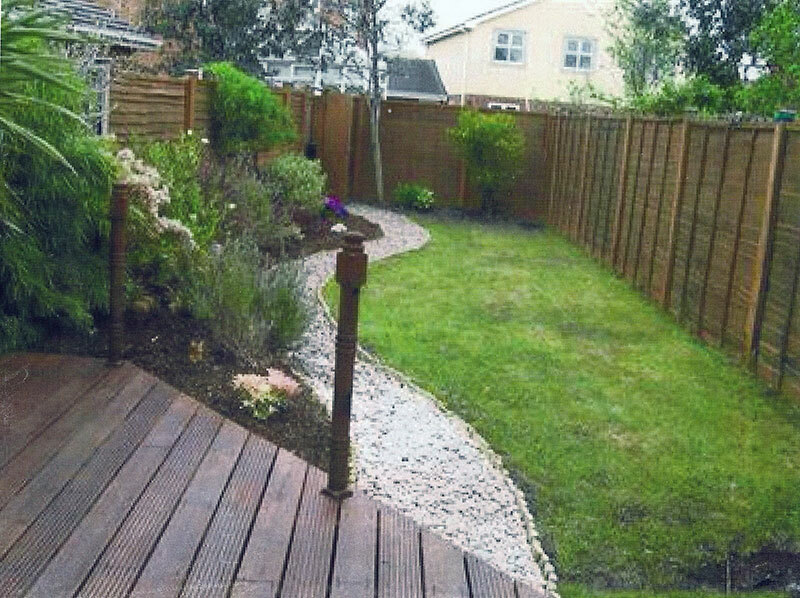 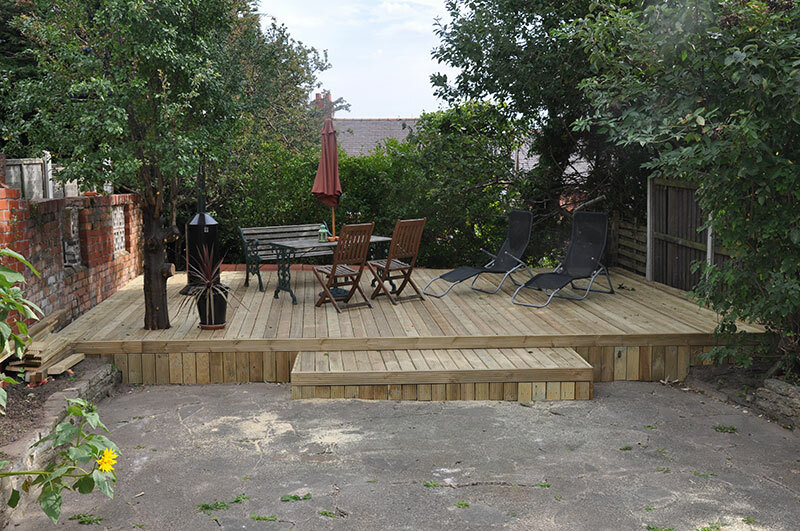 This garden had a section of 35sq meters of unusable space due to an extreme slope, the solution was to deck the area, nice job. 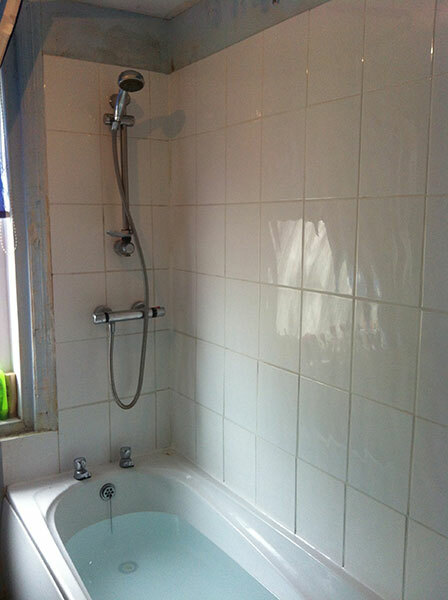 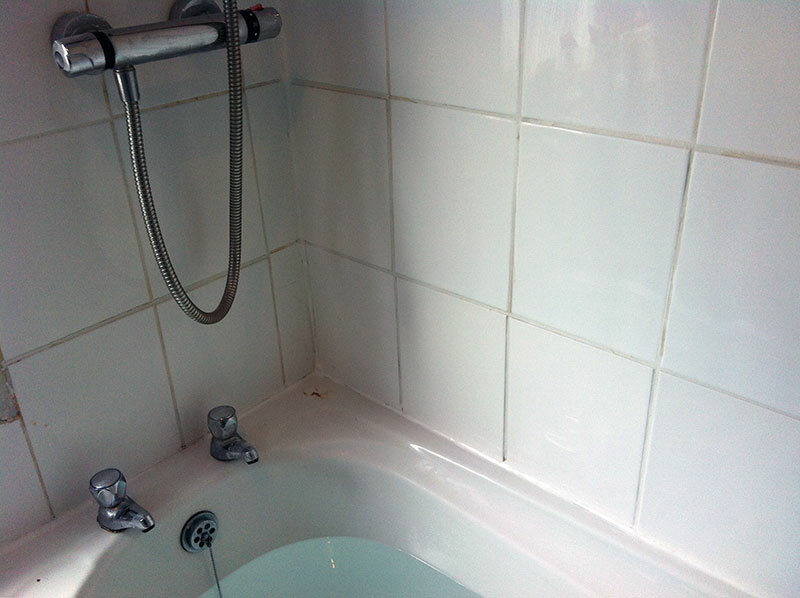 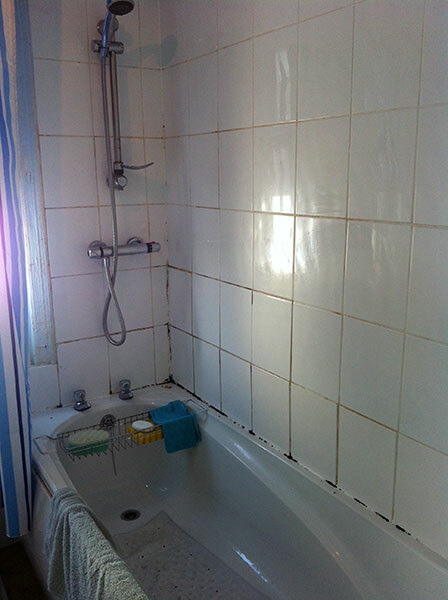 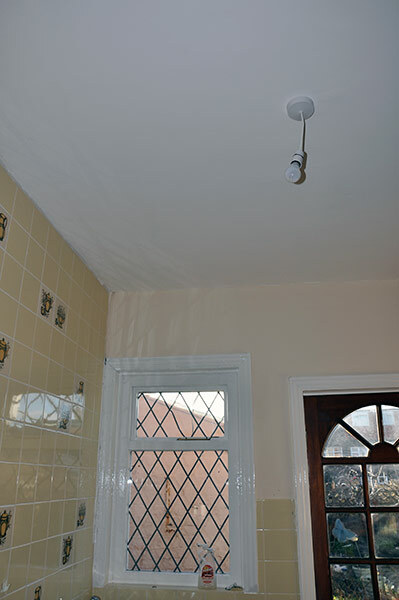 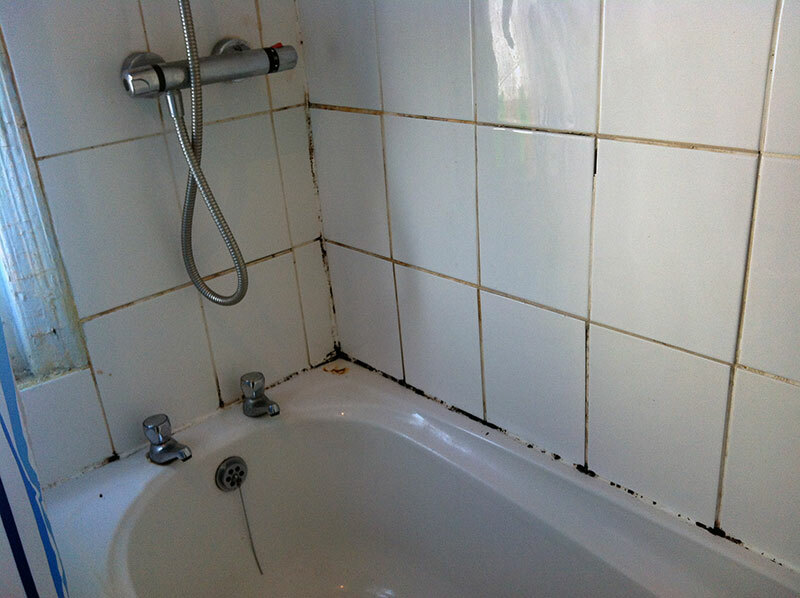 The silicone on this bath had rotted and the grout had become moldy, we re grouted the tiles and re applied the silicone. 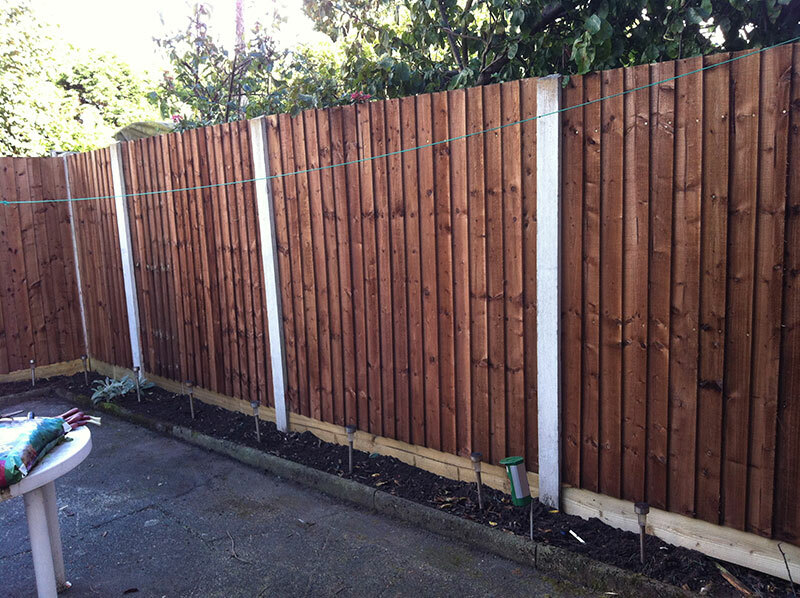 This fence was beyond repair, we completely removed the old fence sections and re constructed all the uprights and cross members, finished off with feather edge made to measure as the gaps were all different. 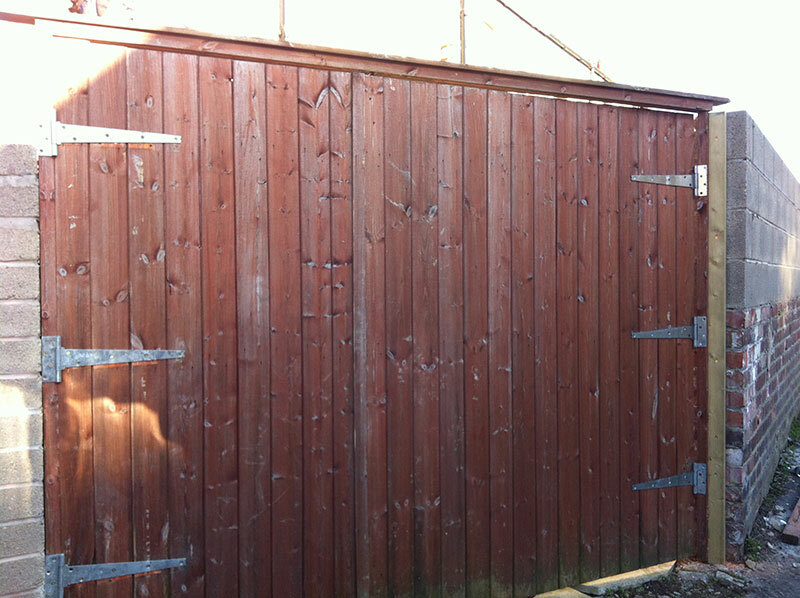 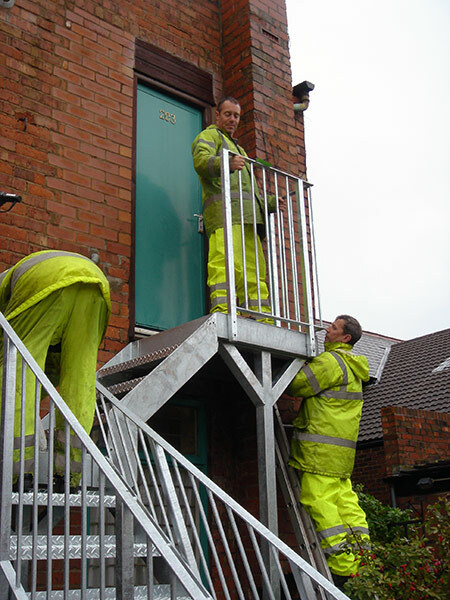 This customer's gate had taken a bettering after a particularly heavy storm, we re-erected the entire structure and re-hung the gates. 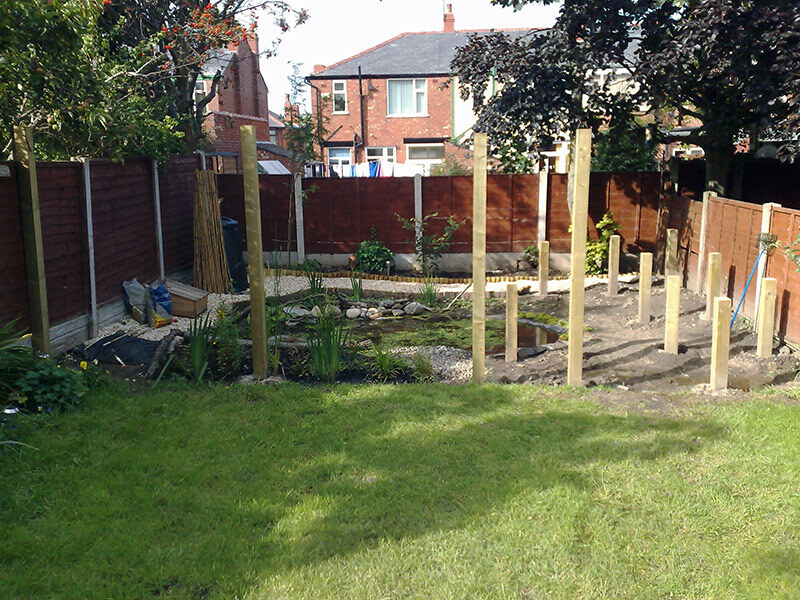 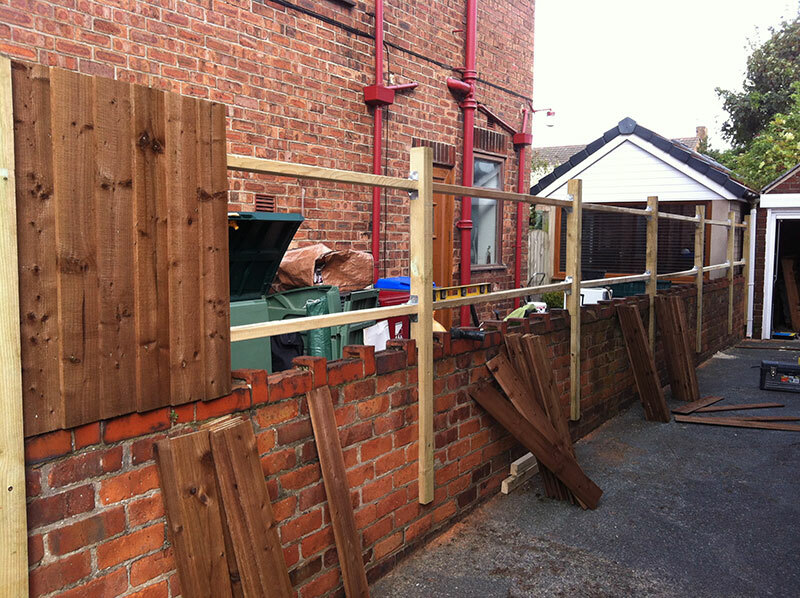 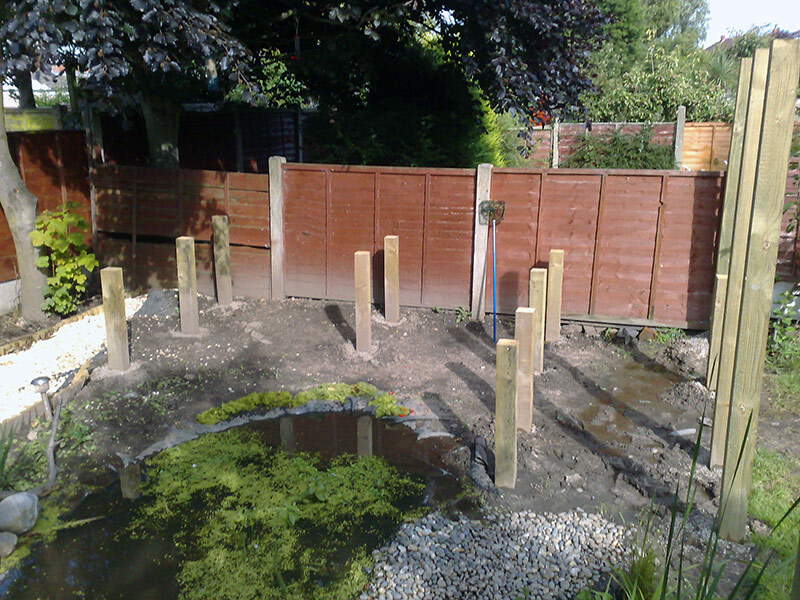 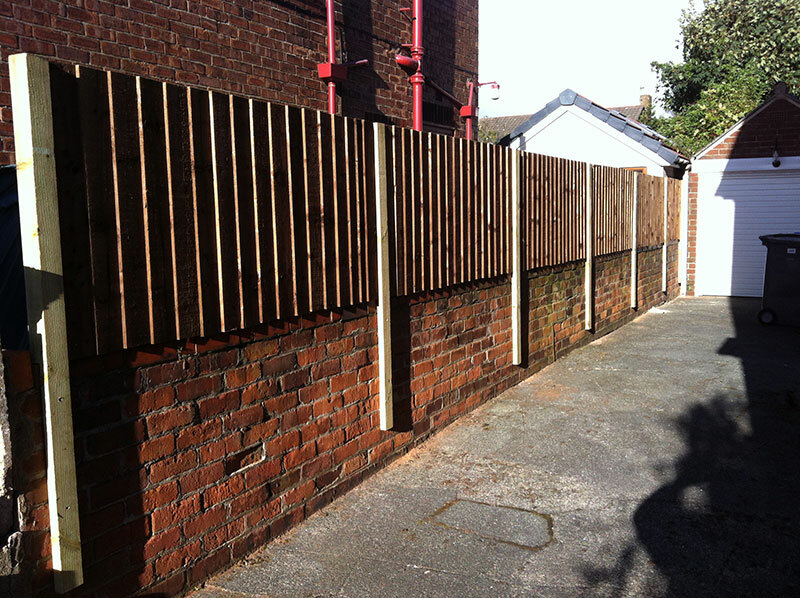 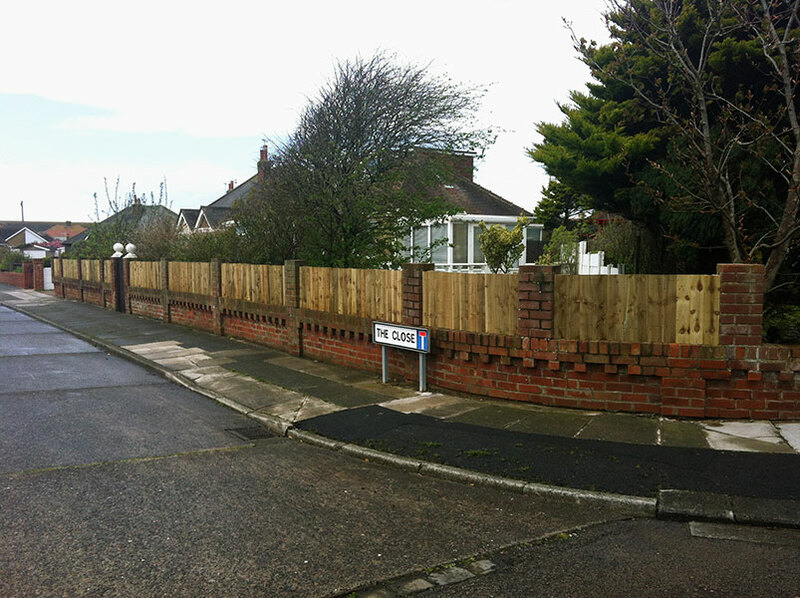 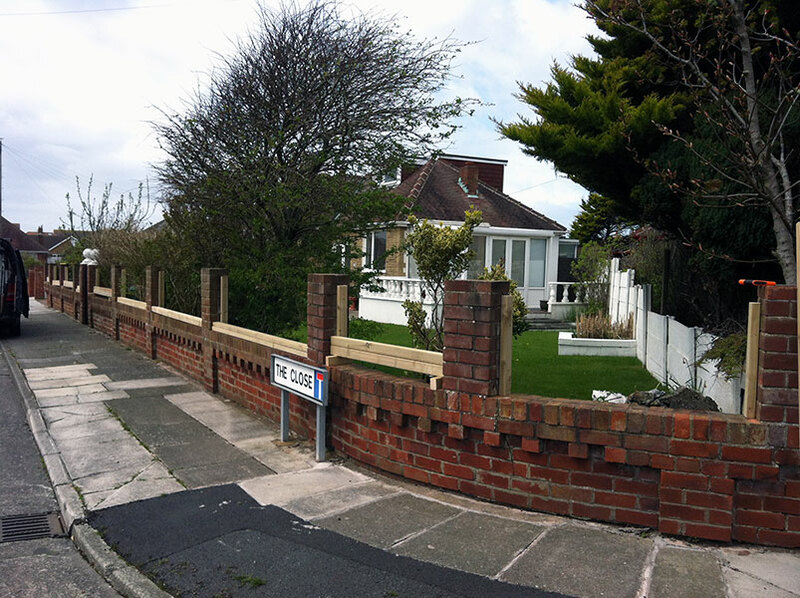 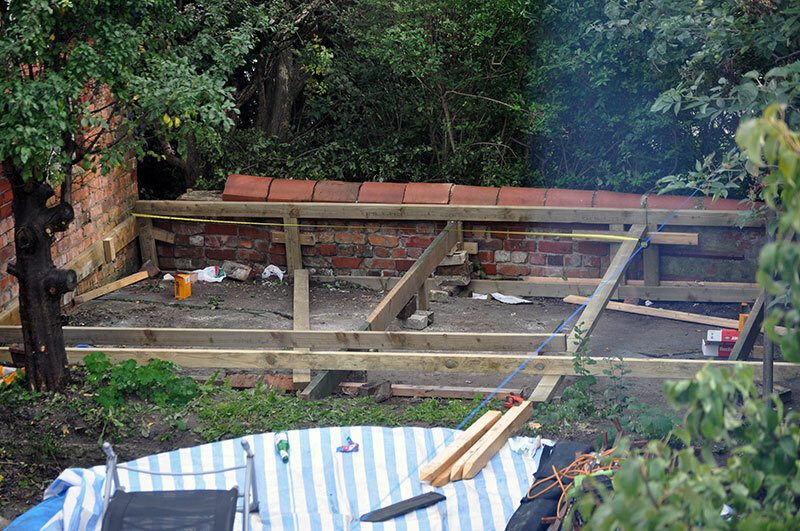 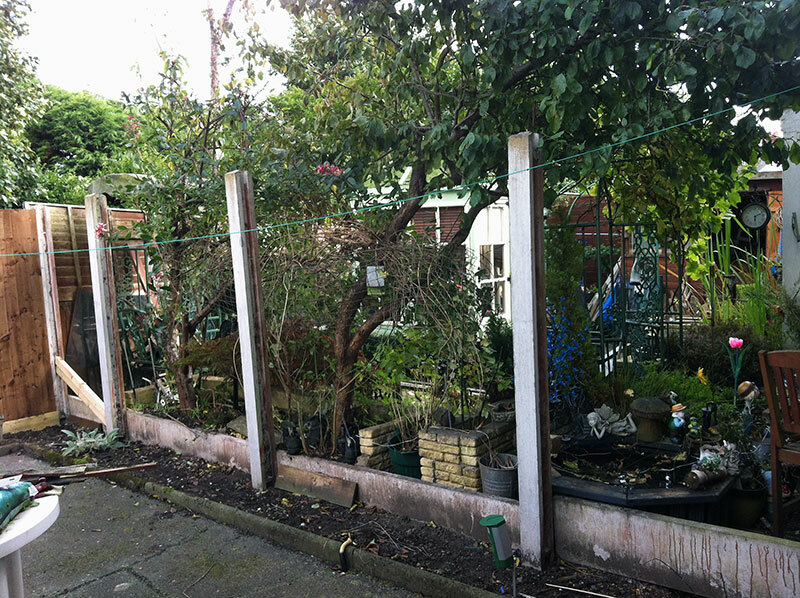 This lady wanted to extend the boundary fence for extra privacy so we designed a solution that utilized the existing wall, we went on to remove an unsafe wall and follow the featheredge fence style throughout. 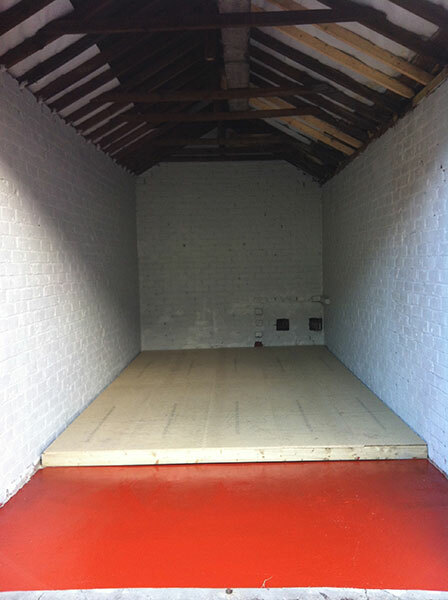 The person who owned this garage had a very dilapidated building on their hands, the brief was to make it water tight and able to store household furniture and possessions, we repaired the roof and replaced rotten timber sections, washed down the brickwork, built a staging area painted the walls and floor. 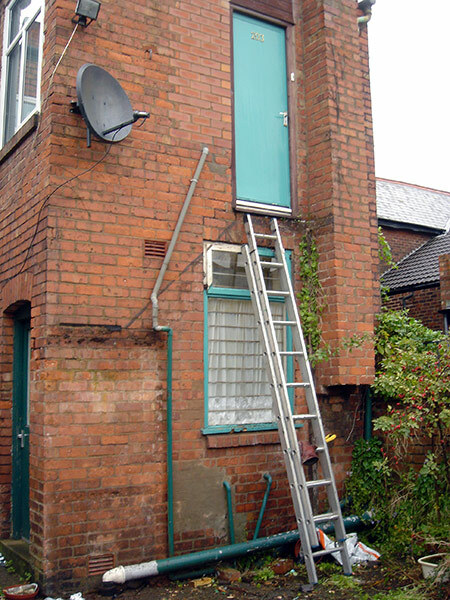 Repaired the doors. 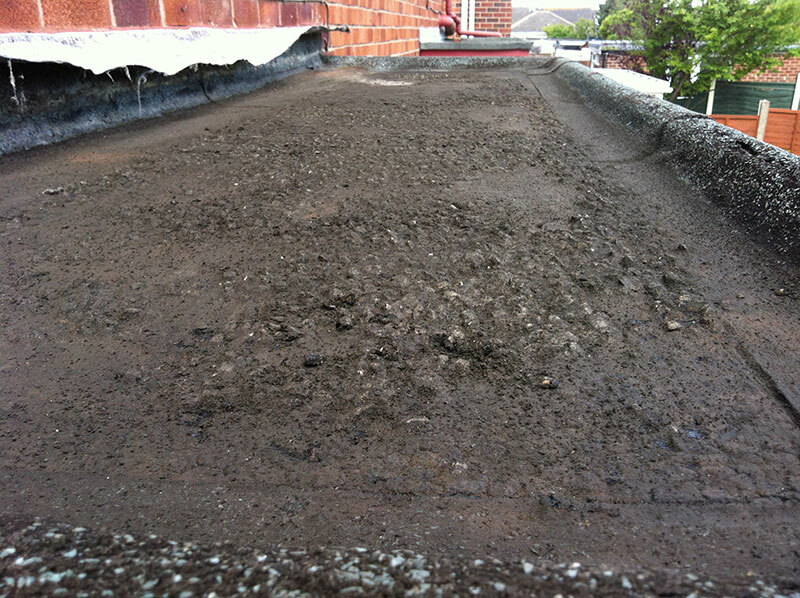 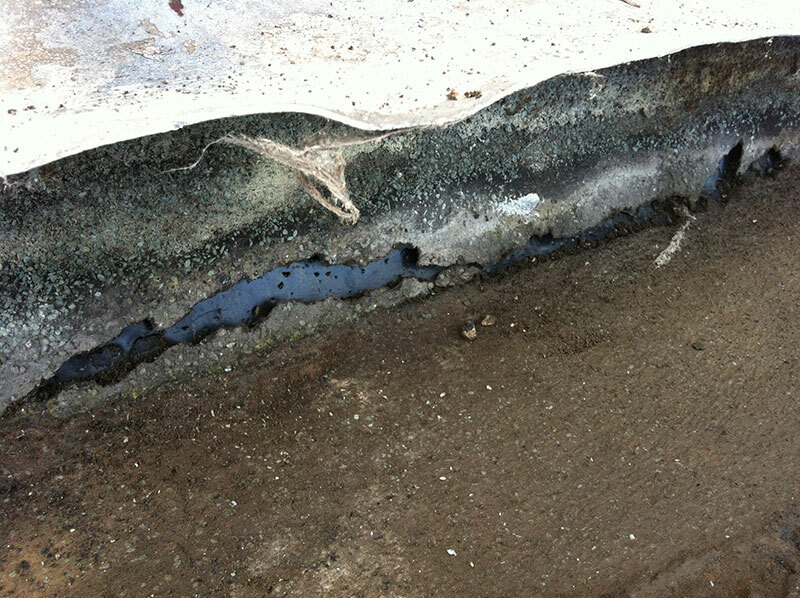 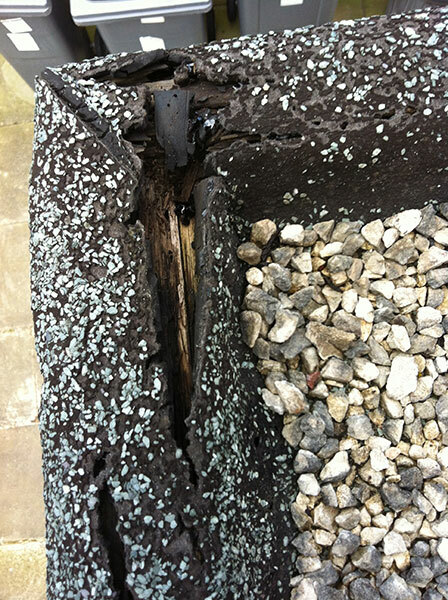 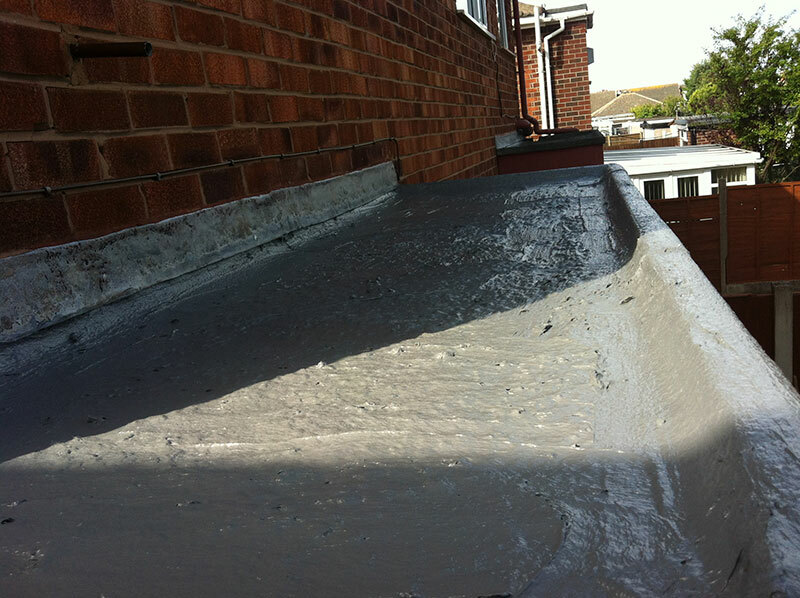 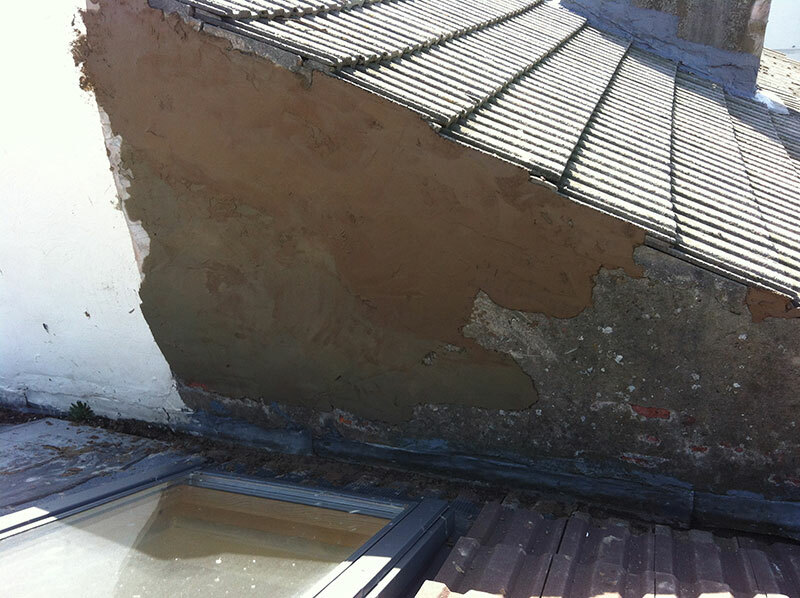 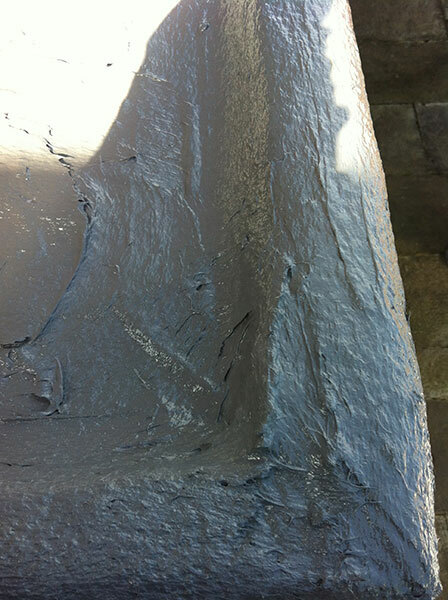 This flat roof section was very old and starting to split in places, we applied a fiberglass resin to the entire roof. 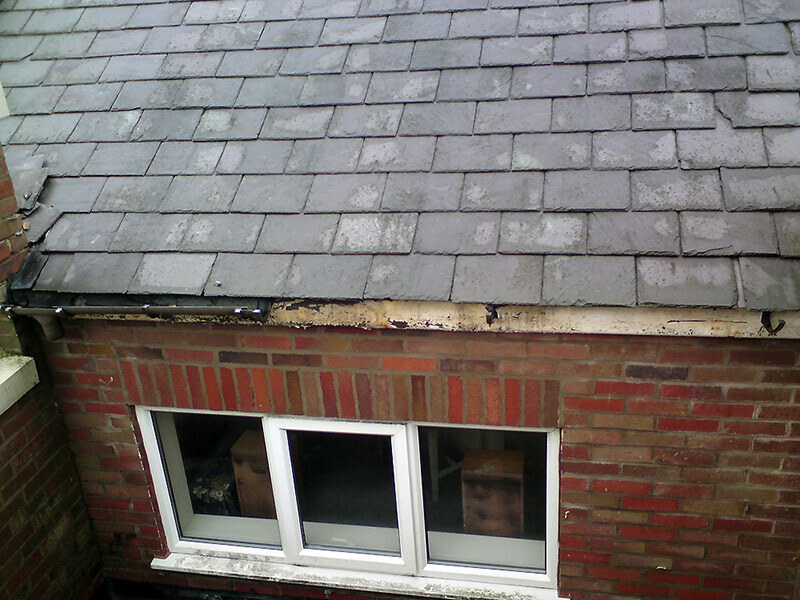 Eliminating the need to re-roof the structure. 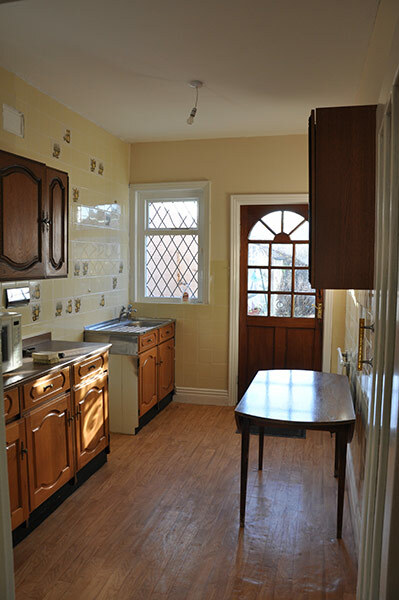 This was an interesting re build, the original cupboard was over 100 years old and the couple wanted it replacing with new with their own touches, i.e. 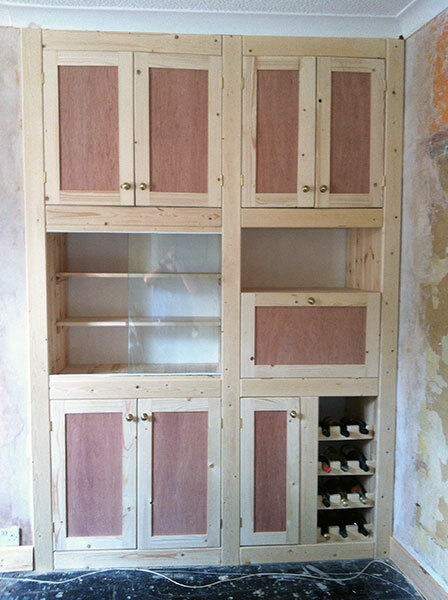 writing desk and wine rack, display section etc. 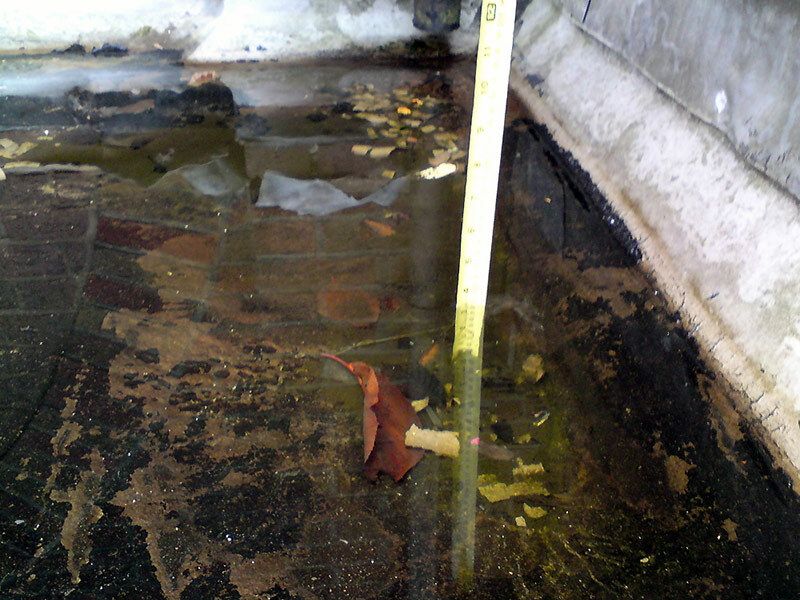 After arriving at this property it was clear from the start it was a far bigger issue than first reported by the client, we were called to look into a leaky stopcock, after inspection, a full set of pictures were taken to support our client and within a matter of days the work had started. 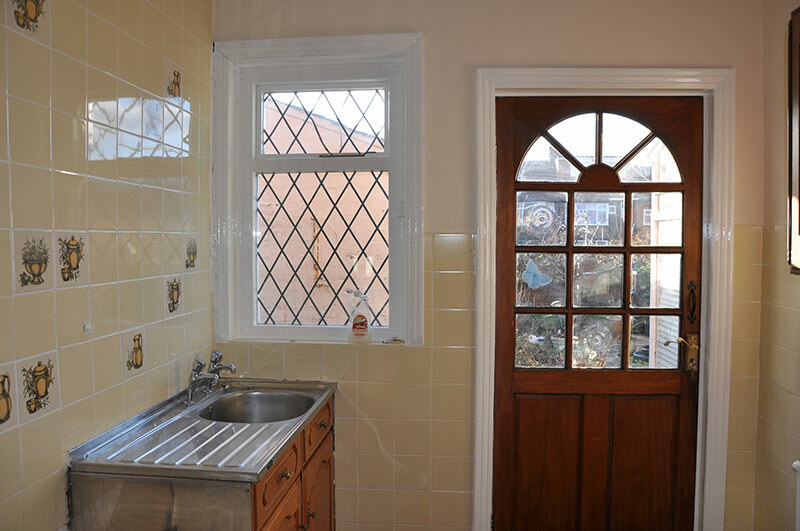 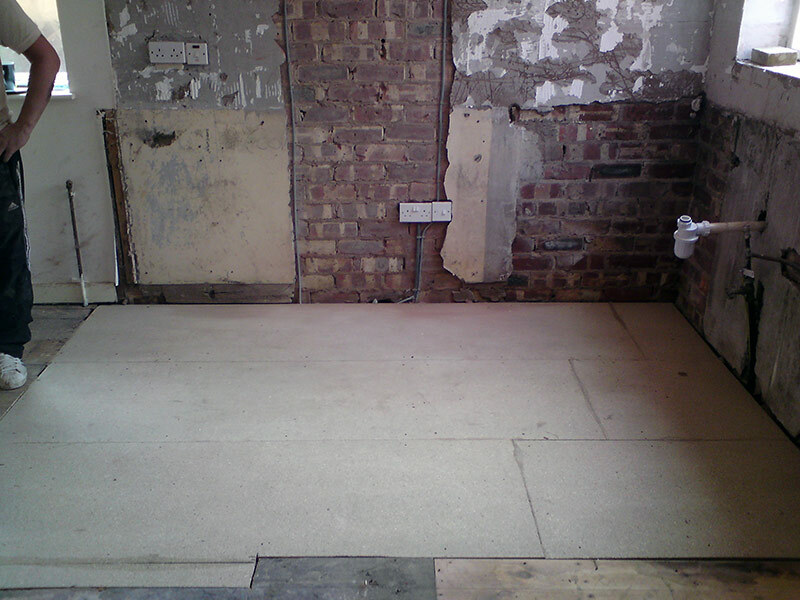 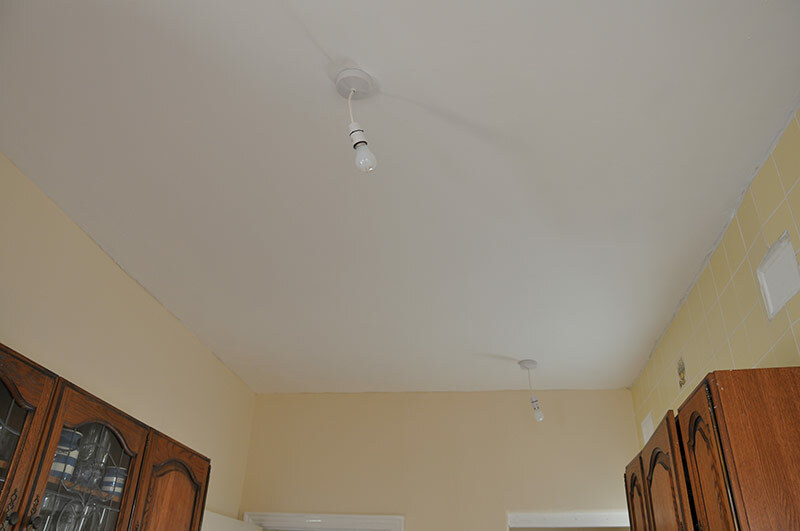 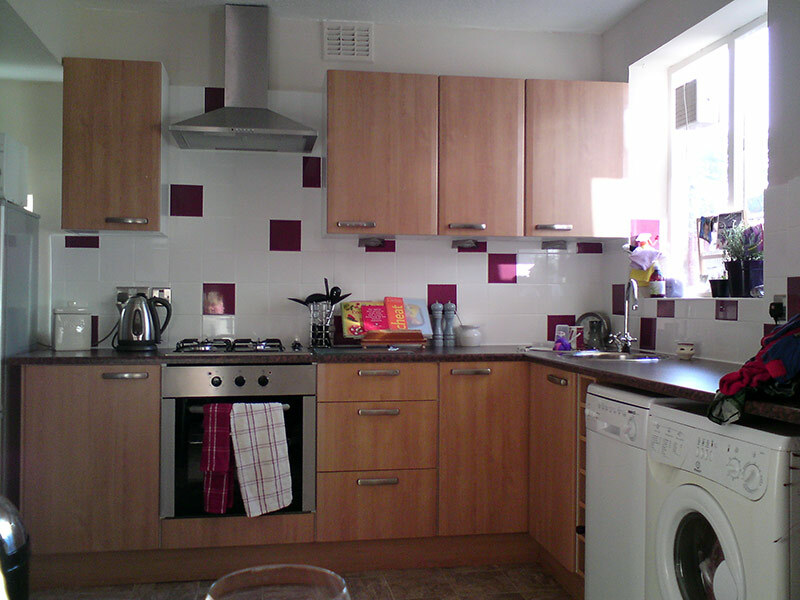 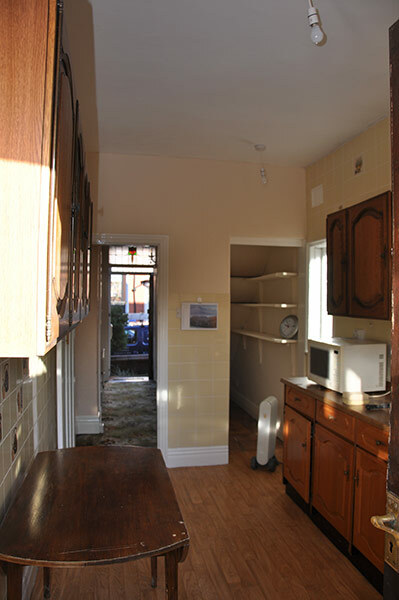 Within 10 days a new floor and a complete new kitchen had been installed. 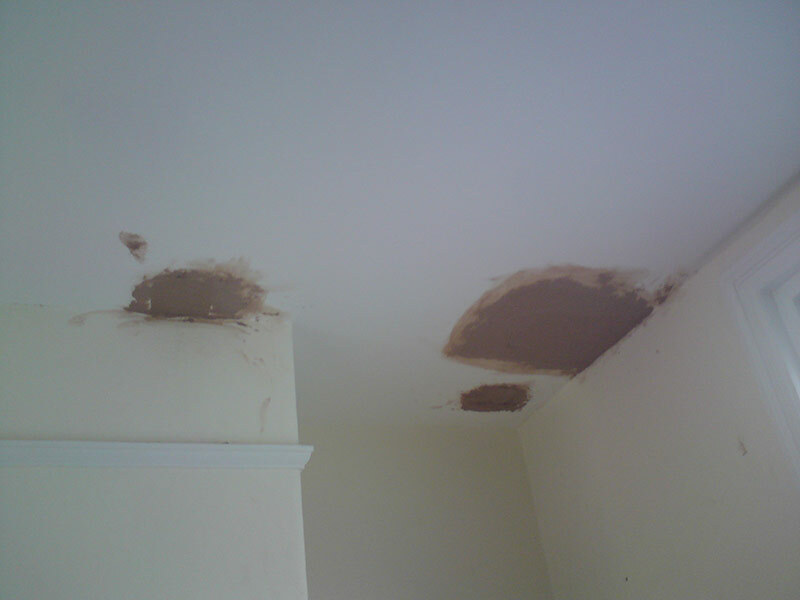 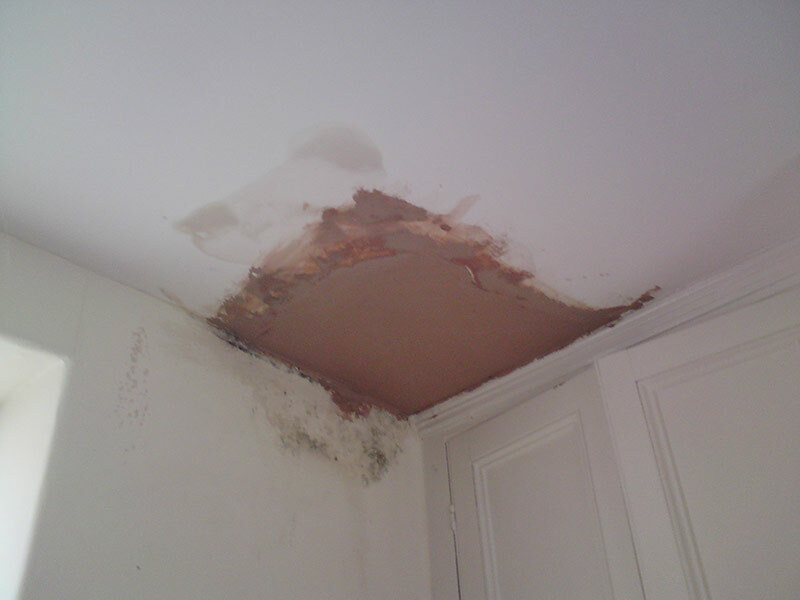 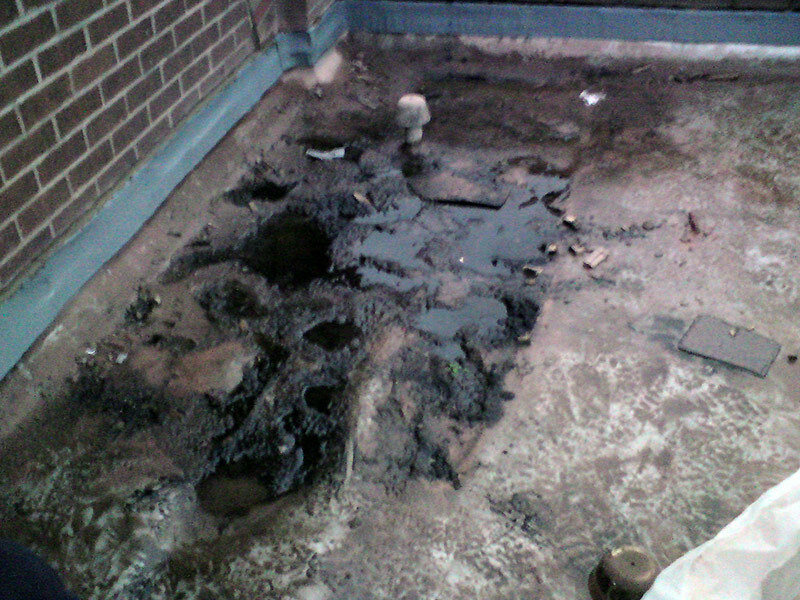 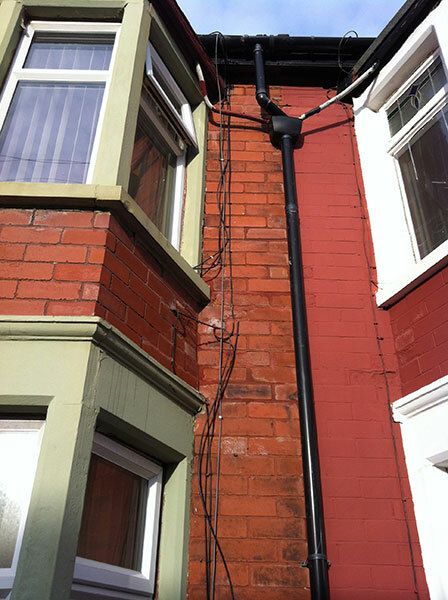 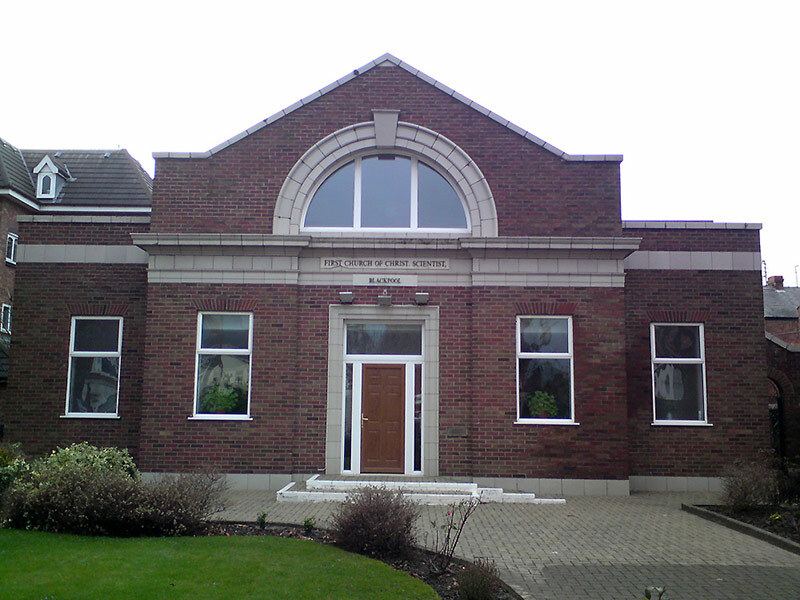 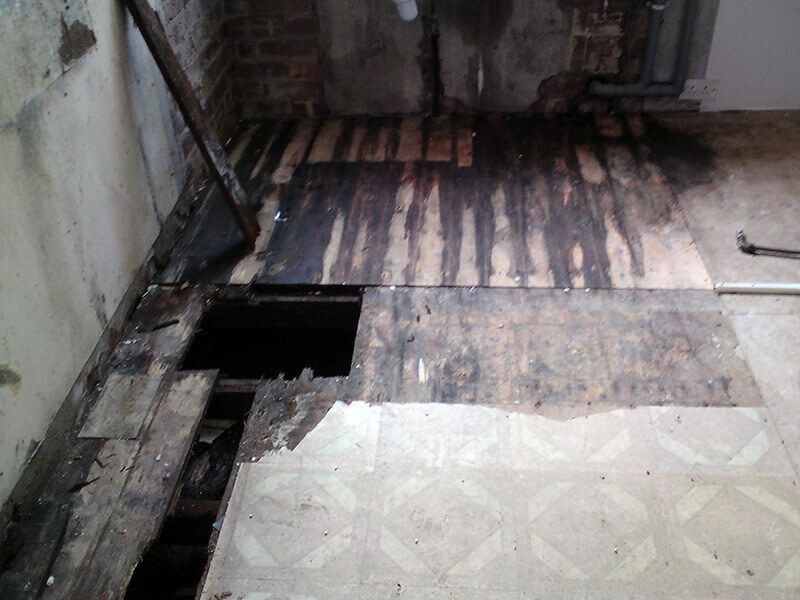 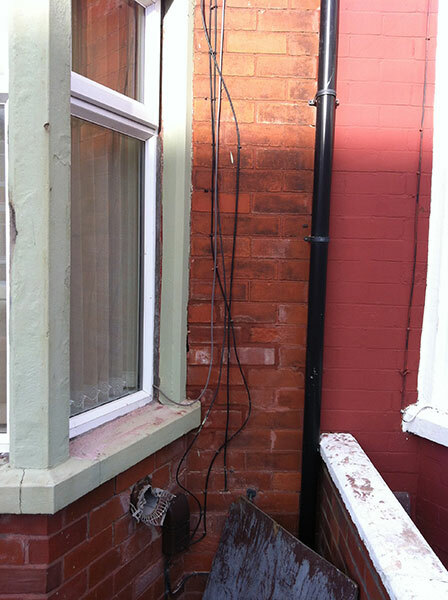 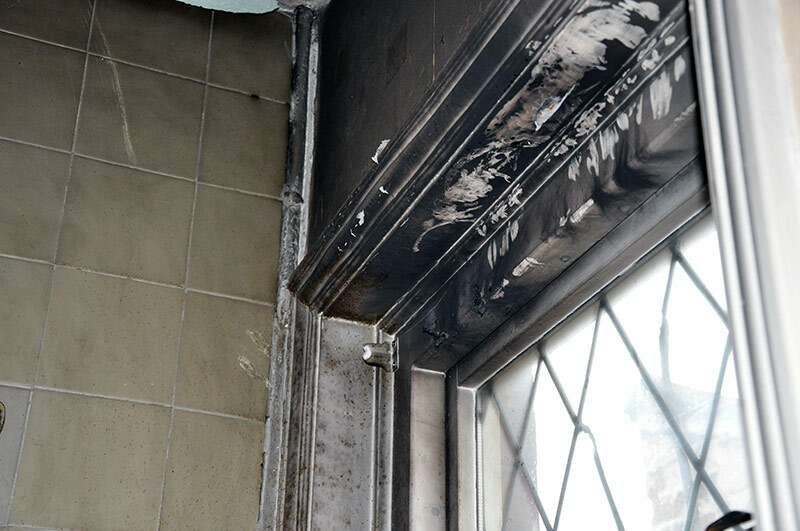 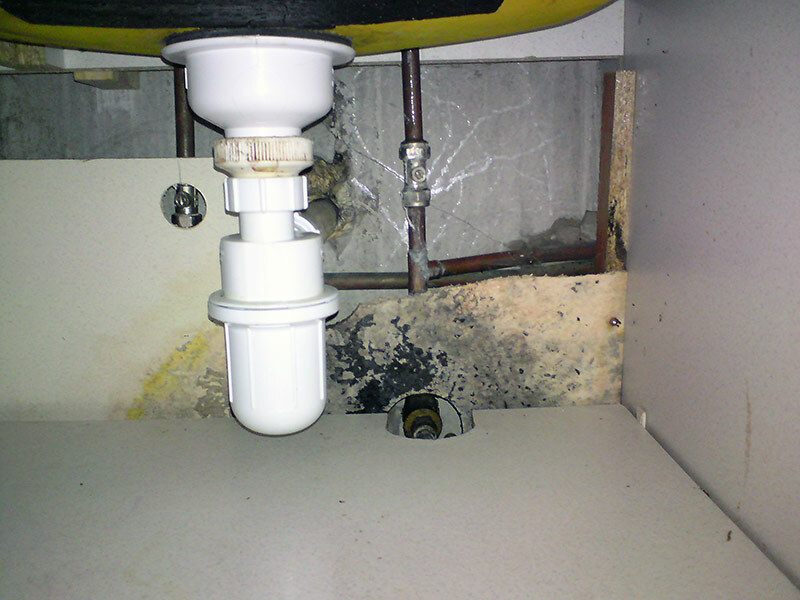 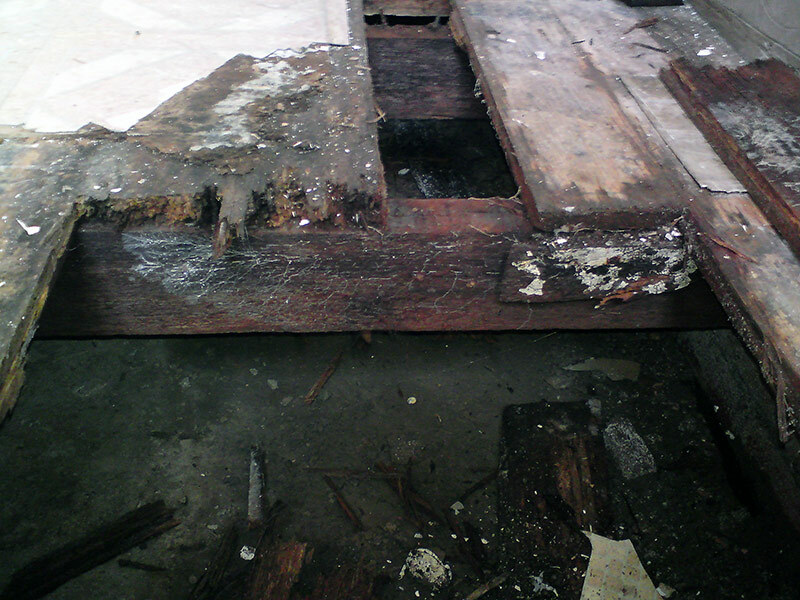 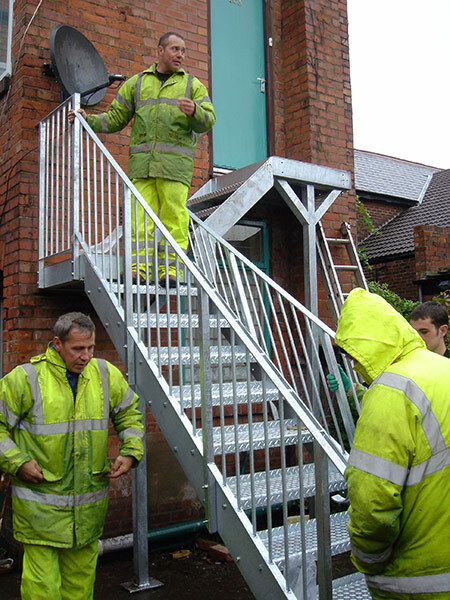 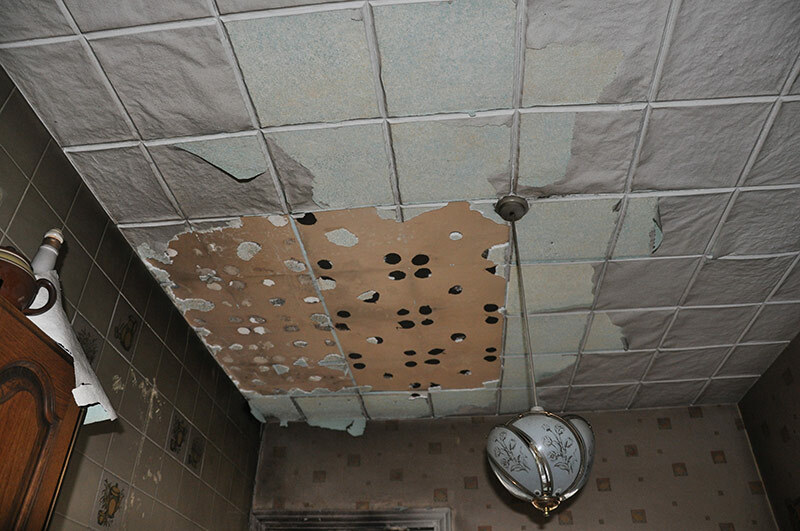 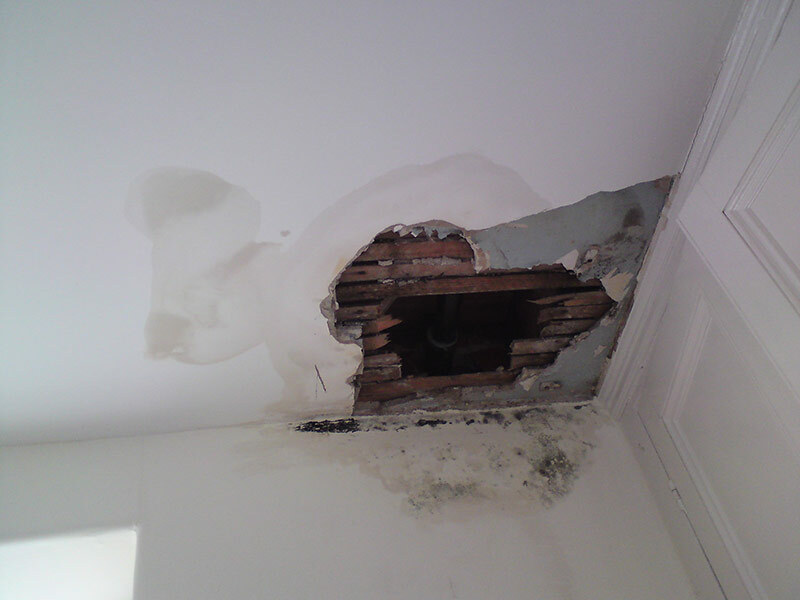 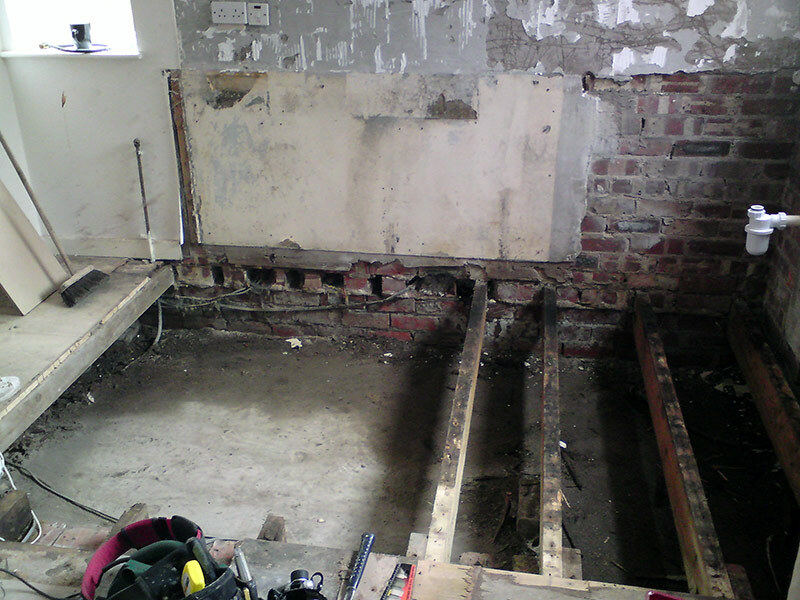 Extensive flooding and faulty drainage caused this Blackpool Church major problems. 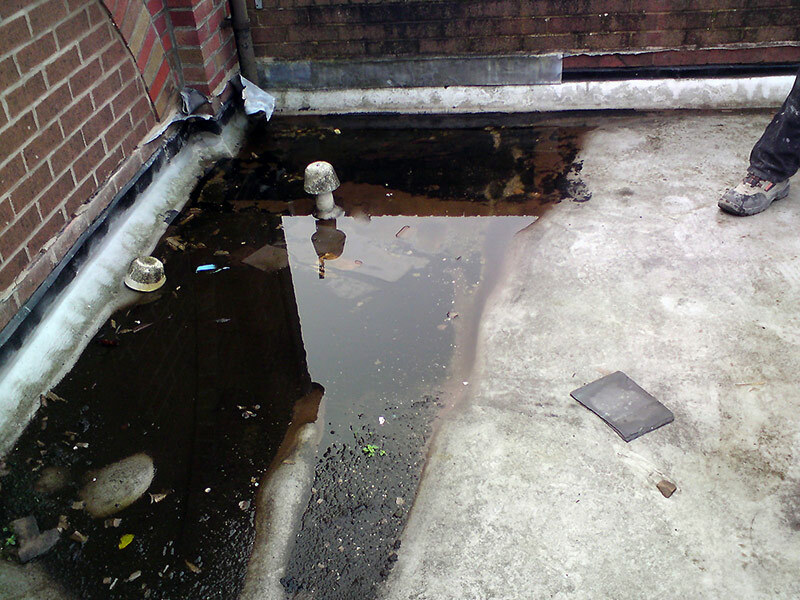 After being called to a church with a roof problem and following inspection of the property, we found that not only had it been vandalised, but the flat roof had collapsed and needed rebuilding. 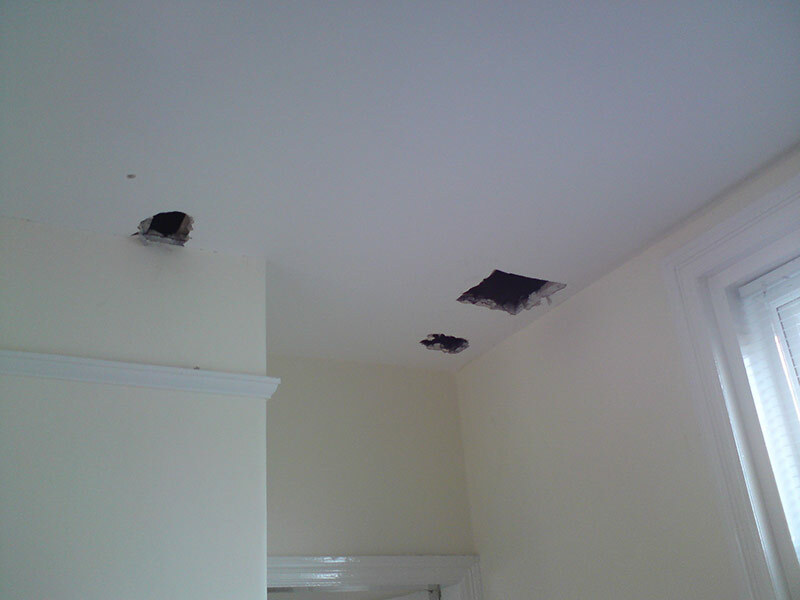 We were called in to patch what the plumber had left behind following a major central heating leak where he had smashed holes in the ceiling to quickly find the fault. 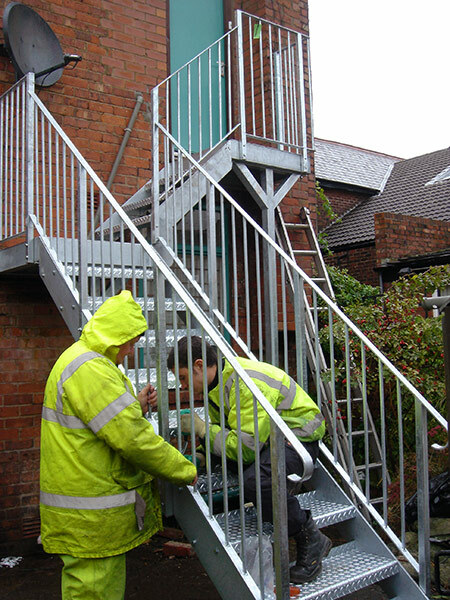 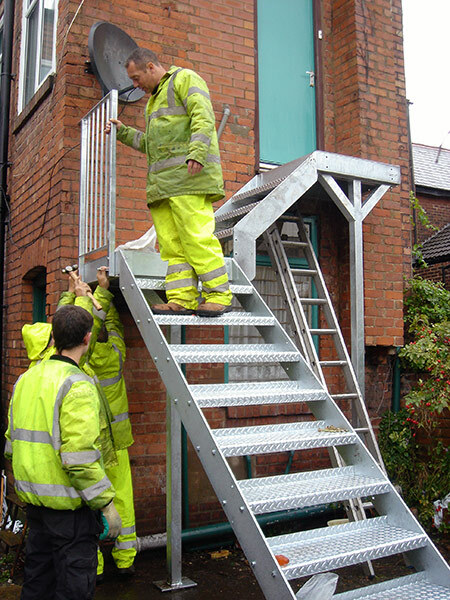 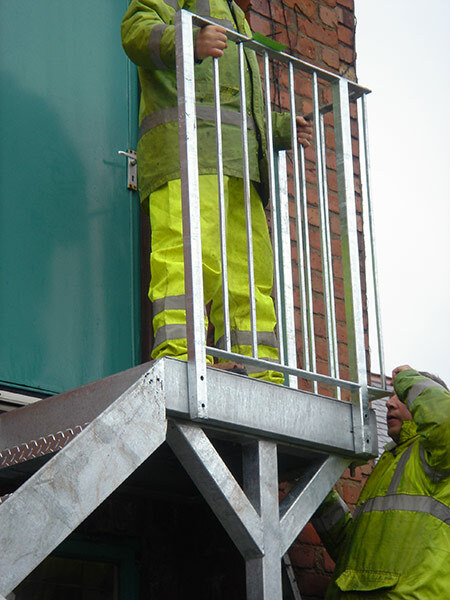 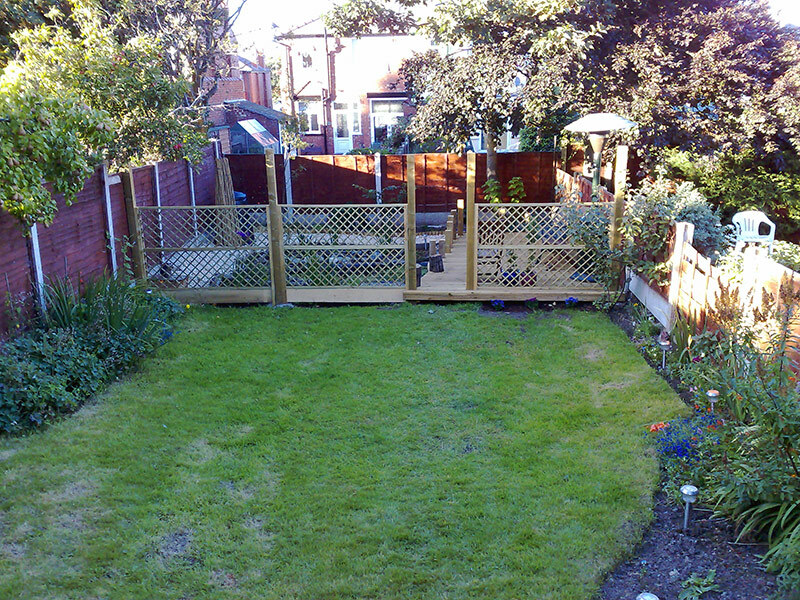 Not just useful for jobs around the home, BAB will also venture outdoors! 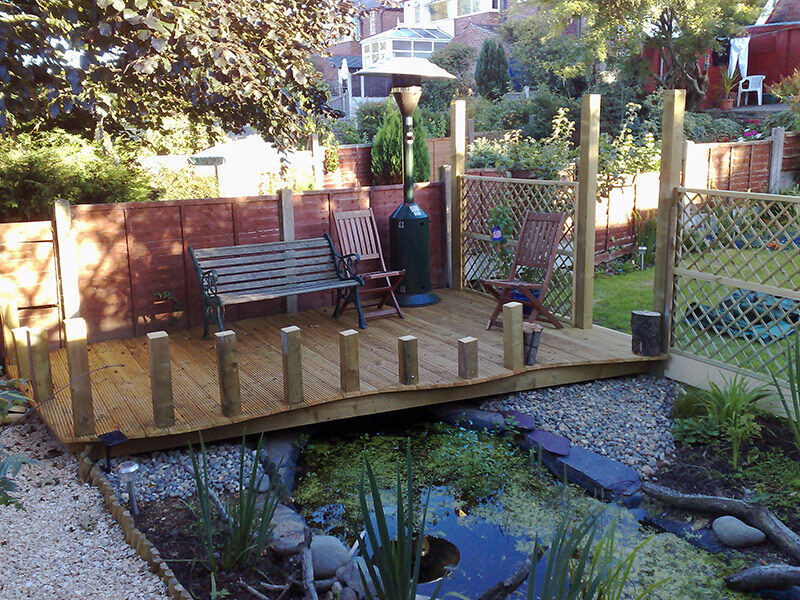 The owner of this garden wanted their virtual waste ground at the end of their garden converting into a more idillyic area; so we created a decked bog-garden. 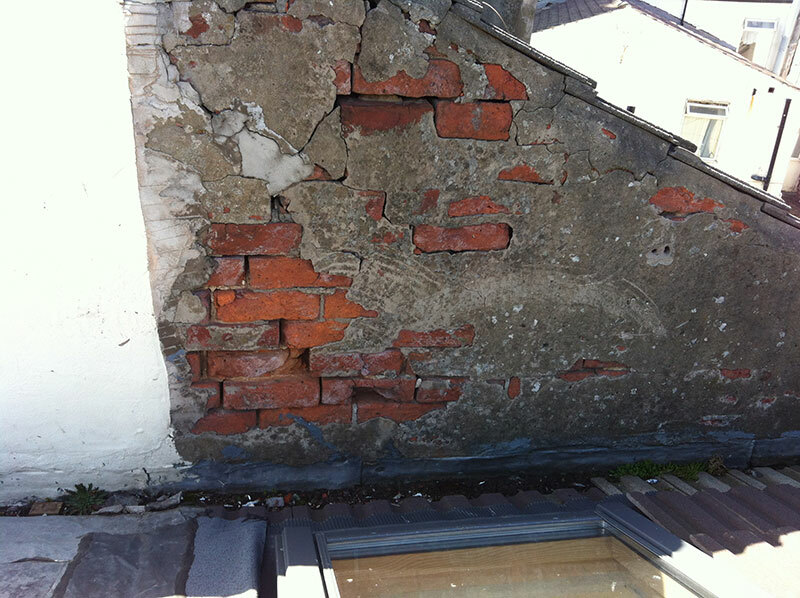 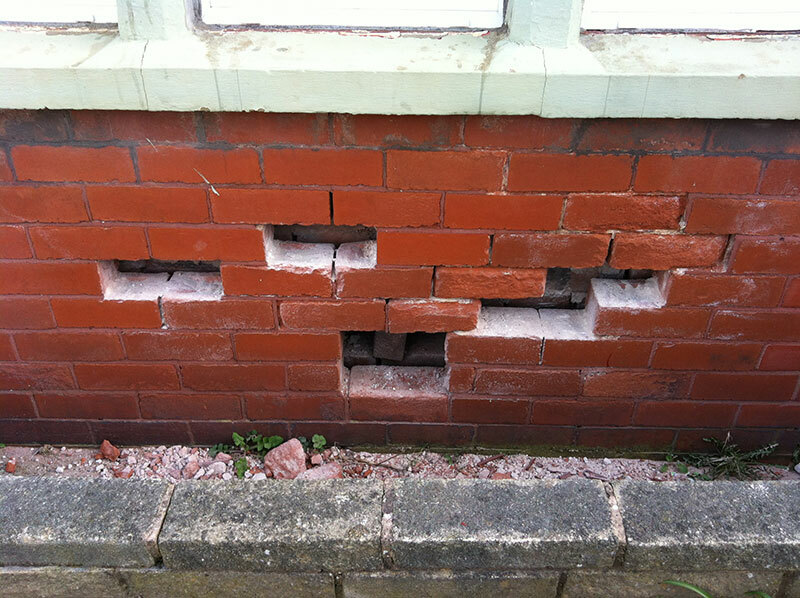 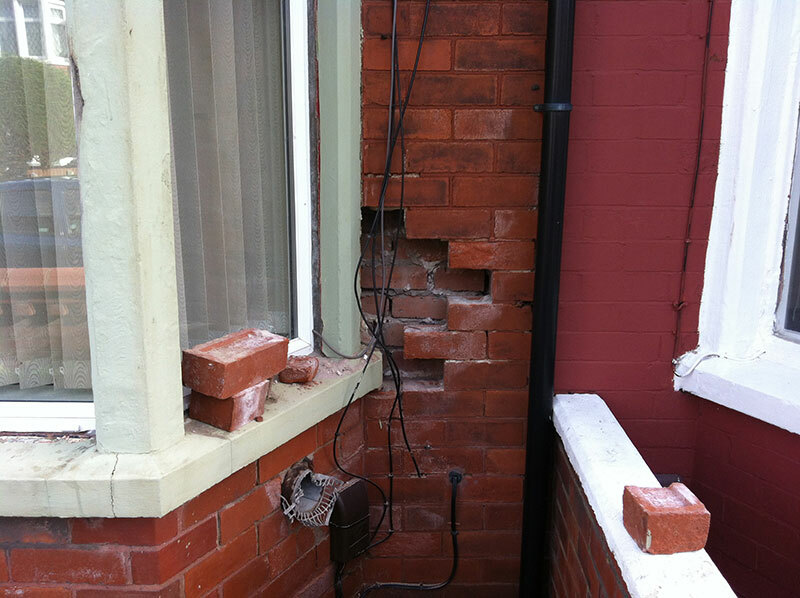 This small section of gable end wall was allowing water to ingress into the property causing internal damp, we replaced the damaged bricks, then we patch rendered the exterior. 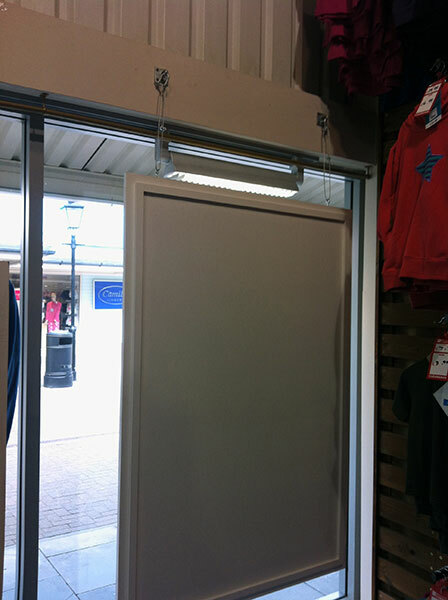 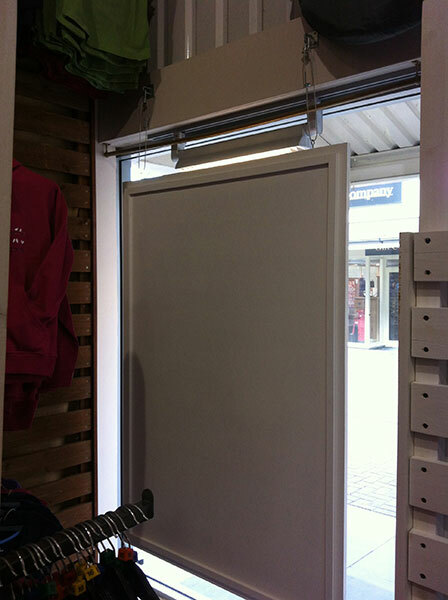 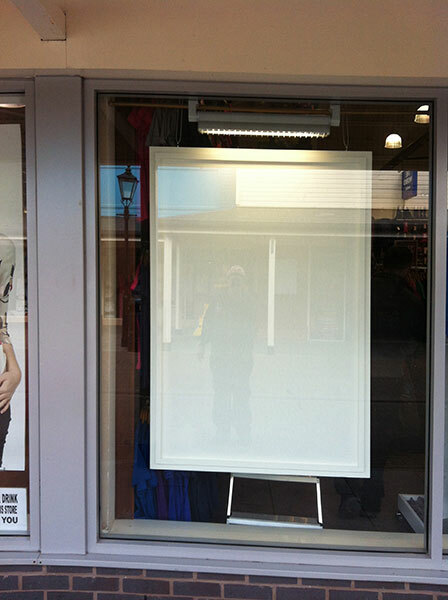 The shop window for this outlet had a particular problem with the positioning of the new window displays, they called upon us to find a safe and secure solution to the positioning and fixing. 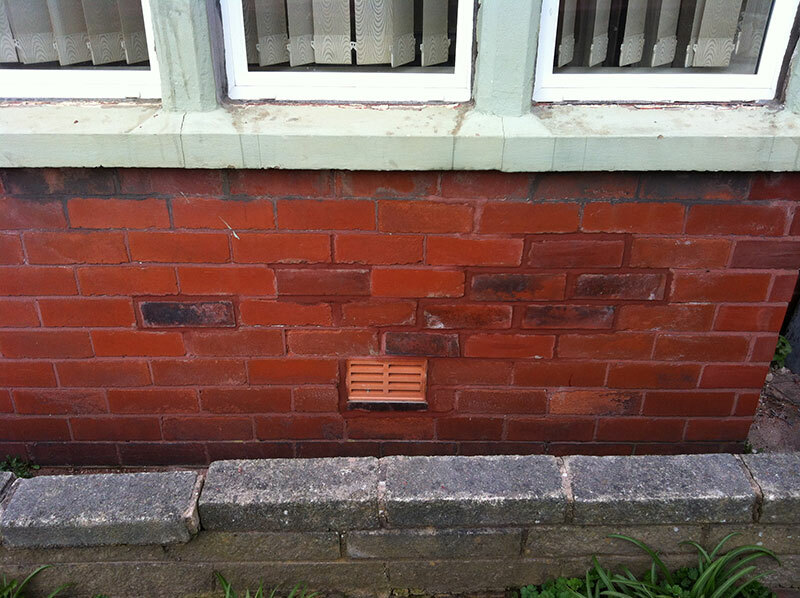 This house was suffering badly with deteriorated Accrington brick, we removed the old and replaced with new, and matched the pointing. 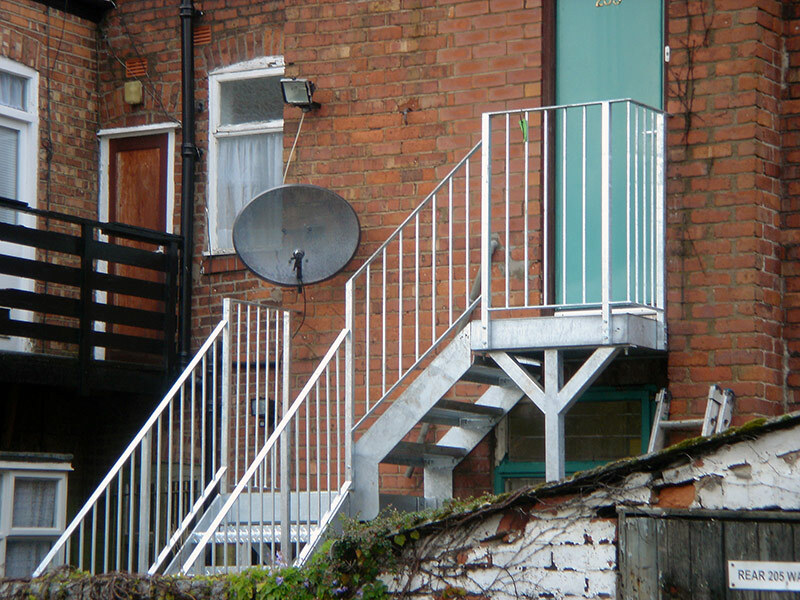 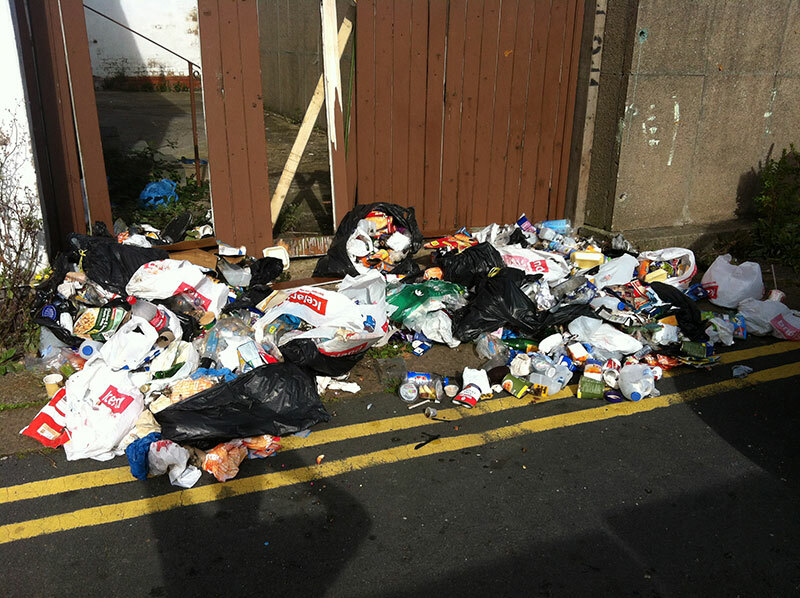 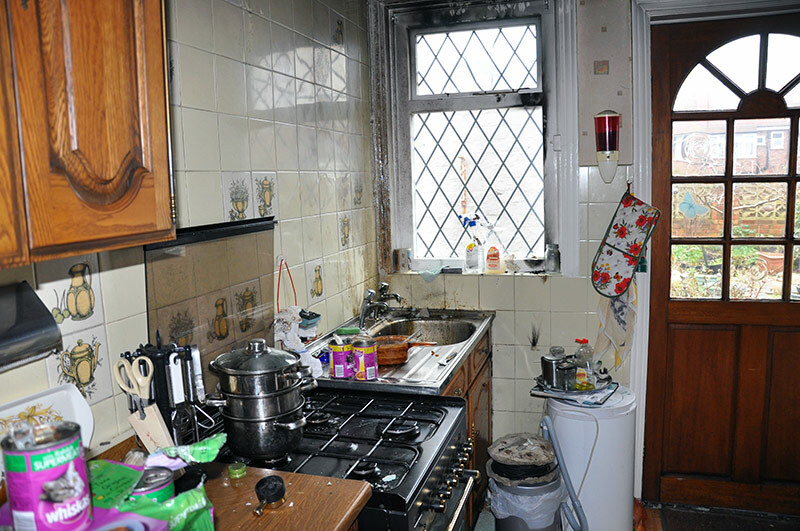 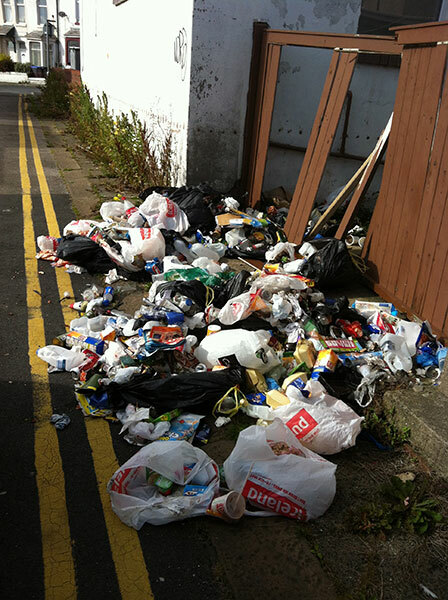 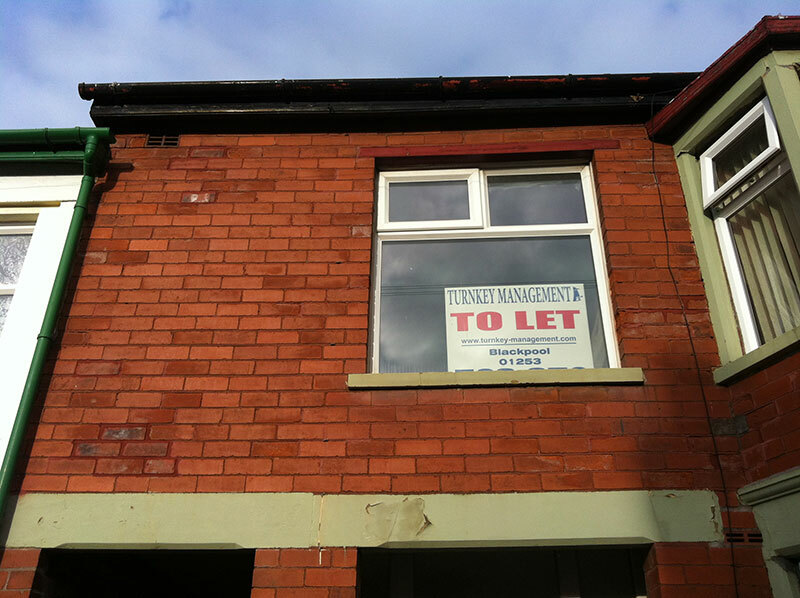 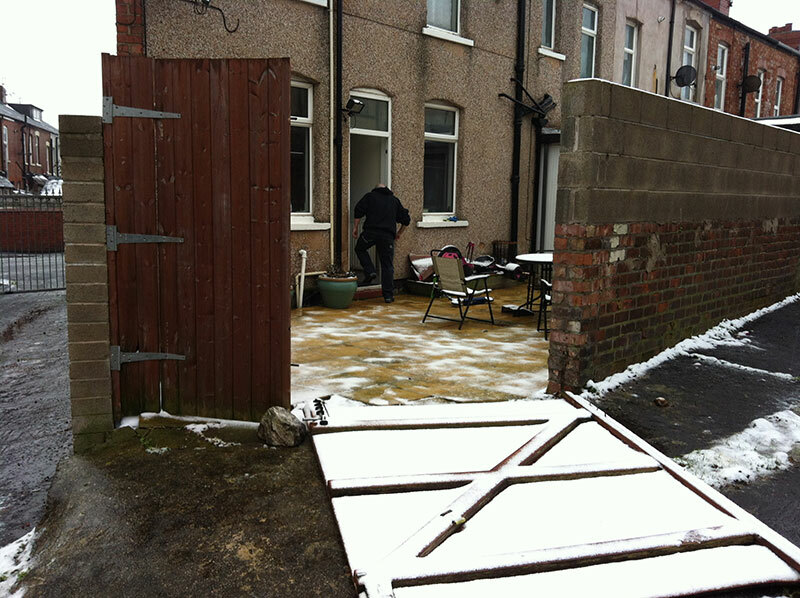 This landlord was not based in Blackpool, but had a report that the rear gates to his property were damaged and people were using the area as a dumping ground. 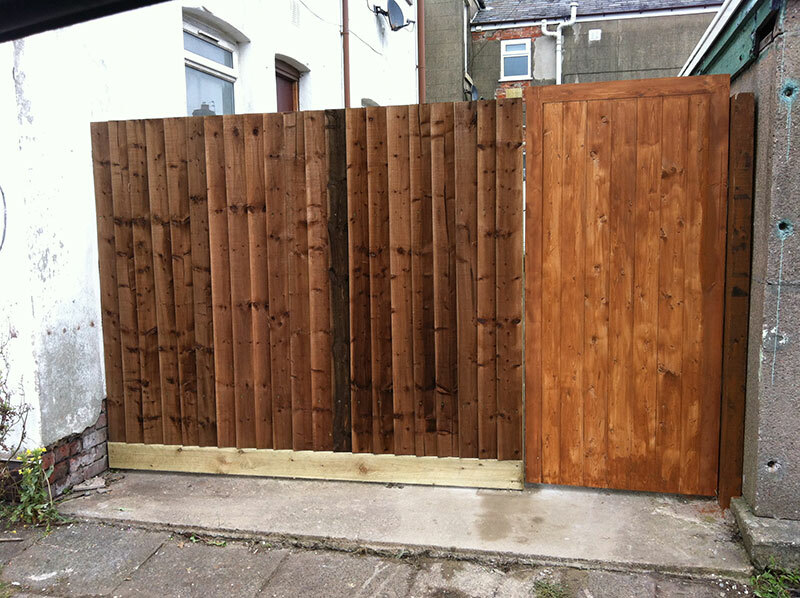 As you can see we cleared all the rubbish and re constructed a new fence and gate. 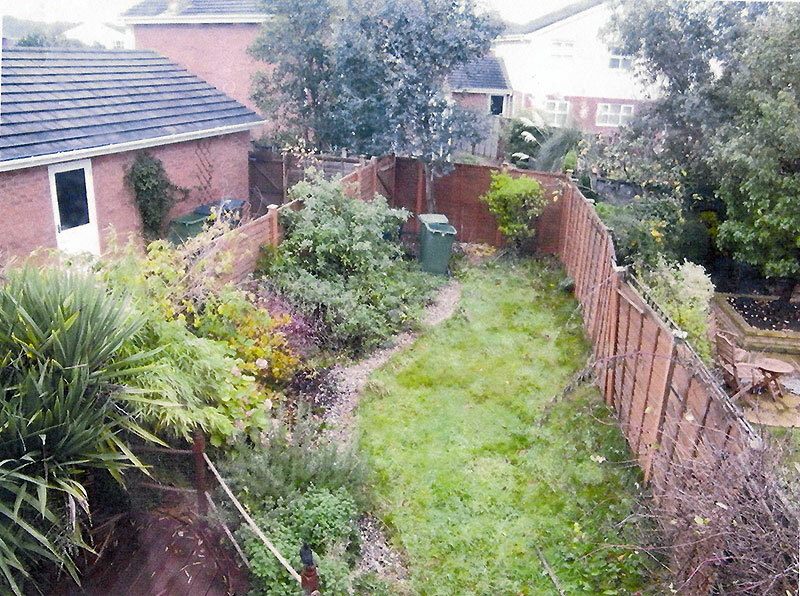 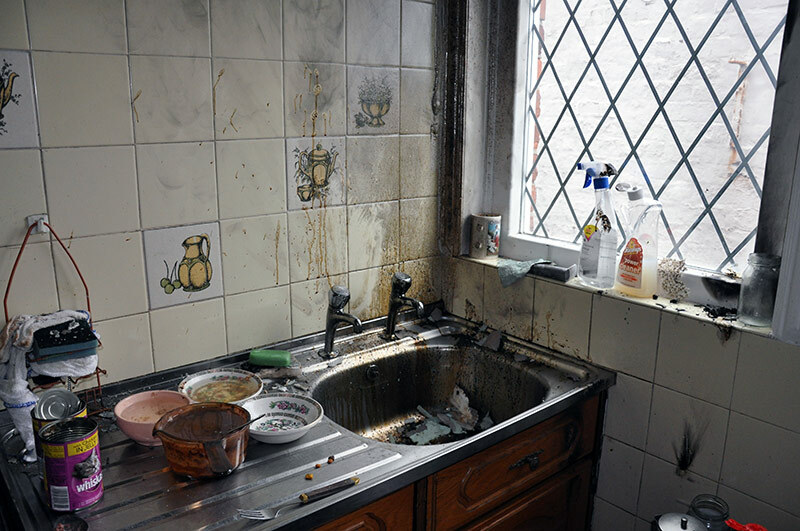 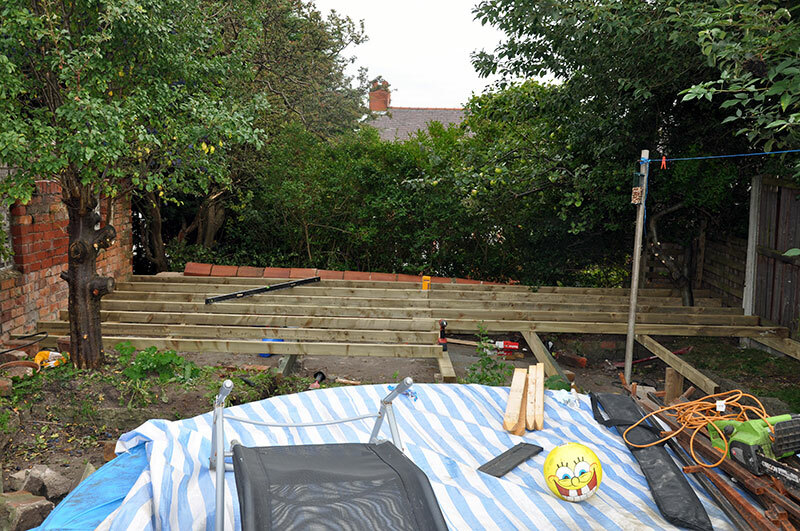 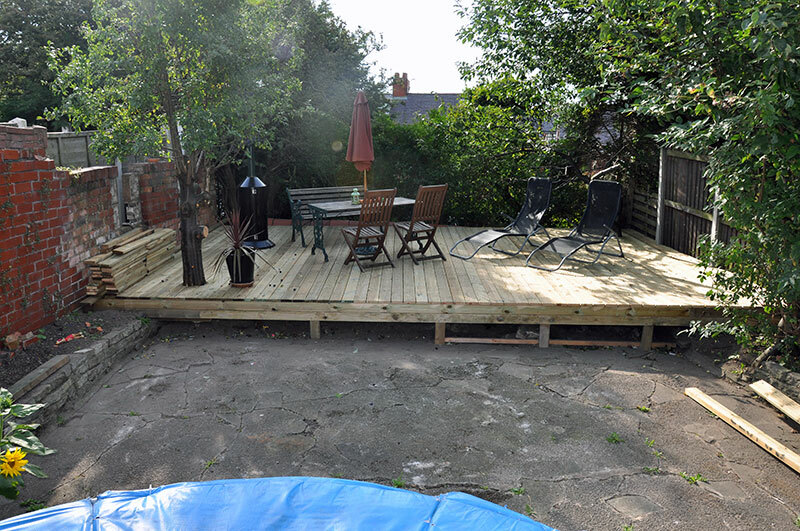 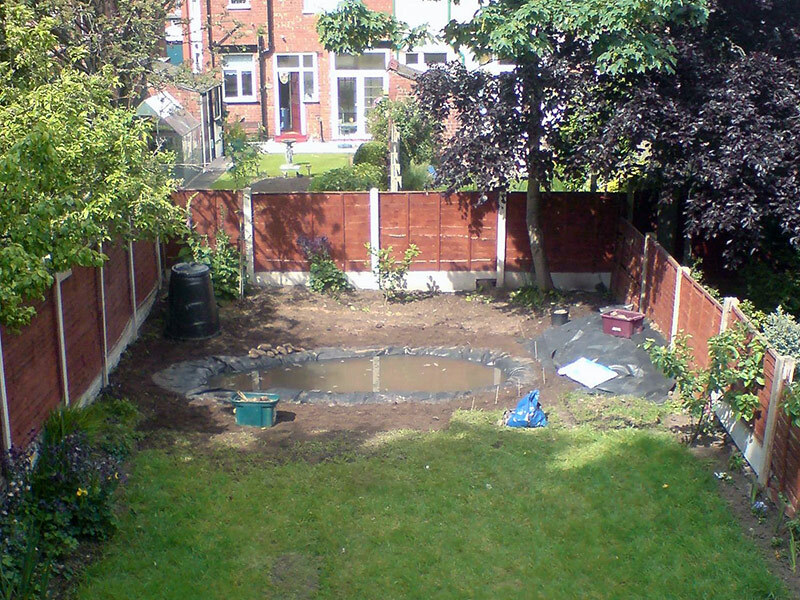 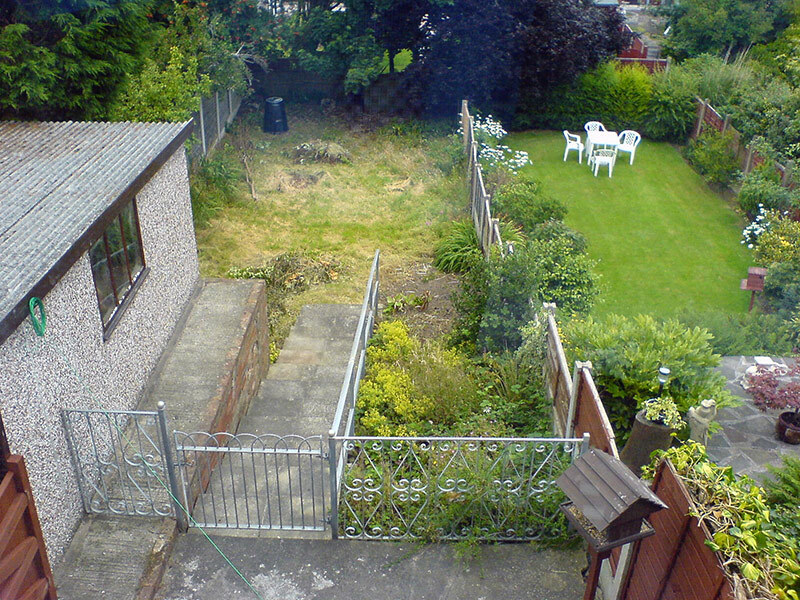 This is a common problem for landlords; the garden had fallen foul of a tenant that simply did nothing to upkeep the garden, as you can see a good few hours� labour and it was as good as new.